Requirements were REVISED effective September 1, 2018. Note: In conjunction with the introduction of Family Scouting for Cub Scouts (with separate Dens for Boys and Girls), new editions of the Cub Scout Handbooks were issued in September. 2018. The new editions also incorporated the advancement changes which were published on-line in November, 2016, then released in print form as an addendum to each Handbook. The changes shown below are changes from the text in the addendum. Complete Requirements 1 and 2 below. Requirement 3 is optional. Plan a menu for a balanced meal for your den or family. Determine the budget for the meal. If possible, shop for the items on your menu. Stay within your budget. Prepare a balanced meal for your den or family. If possible, use one of these methods for preparation of part of the meal: camp stove, Dutch oven, box oven, solar oven, open campfire, or charcoal grill. Demonstrate an understanding of food safety practices while preparing the meal. Complete Requirement 1 and at least two others. Earn the religious emblem of your faith that is appropriate for your age, if you have not done so already. Discuss with your family, family’s faith leader, or other trusted caring adult how planning and participating in a service of worship or reflection helps you live your duty to God. List one thing that will bring you closer to doing your duty to God, and practice it for one month. Write down what you will do each day to remind you. Complete 1 and at least five others. 1. Explain what first aid is. Tell what you should do after an accident. Show how to help a choking victim. Show how to treat for shock. Put together a simple home first-aid kit. Explain what you included and how to use each item correctly. Create and practice an emergency readiness plan for your home or den meeting place. Visit with a first responder or health care professional. Complete Requirements 1-3 and at least one other. Understand and explain why you should warm up before exercising and cool down afterward. Demonstrate the proper way to warm up and cool down. Do these activities and record your results: 20 yard dash, vertical jump, lifting a 5 pound weight, push-ups, curls, jumping rope. Make an exercise plan that includes at least three physical activities. Carry out your plan for 30 days, and write down your progress each week. Try a new sport that you have never tried before. With your den, prepare a fitness course or series of games that includes jumping, avoiding obstacles, weight lifting, and running. Time yourself going through the course, and try to improve your time over a two week period. With adult guidance, help younger Scouts by leading them in a fitness game or games. Complete Requirements 1-4 and at least one other. Plan a hike or outdoor activity. Assemble a first aid kit suitable for your hike or activity. Recite the Outdoor Code and the Leave No Trace Principles for Kids from memory. 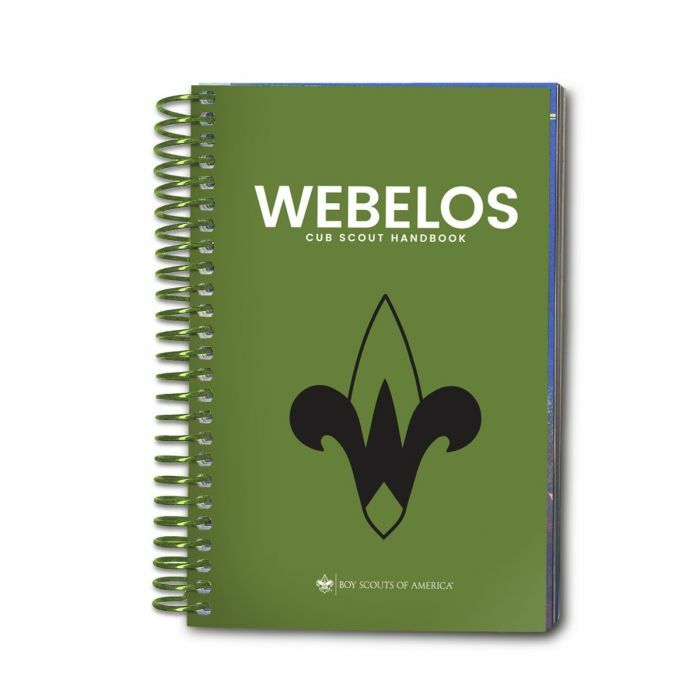 Talk about how you can demonstrate them on your Webelos adventures. With your Webelos den or with a family member, hike 3 miles. Before your hike, plan and prepare a nutritious lunch or snack. Enjoy it on your hike, and clean up afterward. Describe and identify from photos any poisonous plants and dangerous animals and insects you might encounter on your hike or activity. Perform one of the following leadership roles during your hike: trail leader, first aid leader, or lunch or snack leader.